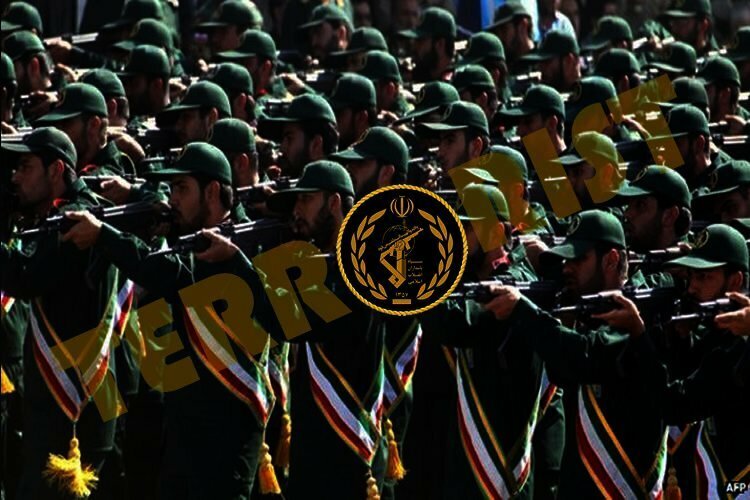 The US designated the Islamic Revolutionary Guards Force today as a foreign terrorist organization in an “unprecedented” move. Proscribing the IRGC is a very important step in the US’s maximum pressure campaign against the Iranian regime as the leading sponsor of terrorism in the region and beyond. This move effectively allows the US to curb Iran’s ability to financially aid terrorism outside of Iran. Although the military and terrorist aspect of the IRGC seems to grab international headlines, its political/economic dominance in Iran is less talked about. The Guards have a security/intelligence system in Iran equal to that of Iran’s Ministry of Intelligence. This includes support from the Judiciary with all the facilities of the Islamic Republic of Iran’s Broadcasting (IRIB) at their disposal. The heads of both these organizations are appointed by Iran’s Supreme Leader, Ali Khamenei. The IRGC extended its economic hold towards the end of the Iran-Iraq war in 1988 and founded the Khatam-al Anbiya Construction Headquarters and its Cooperation Bonyad. Through these institutions, it became Iran’s largest contractor for government projects. However, the IRGC’s biggest economic breakthrough came in 2005, during the presidency of Mahmoud Ahmadinejad, when Khamenei ordered the complete implementation of article 44 of the Constitution which called for the privatization of government corporations. During the privatizations, more than 475 large government corporations including some of the most profitable companies, were given to the Guards and institutions controlled by the Supreme Leader. A month after Iran’s president Rouhani took power in his second term in 2017, he cited the IRGC’s control of the economy, calling the Guards “a government with guns”. “The implementation of the policies of Article 44 was for the economy to be given to the people, ceasing government control, but what did we do? Part of the economy was in the hands of a government without guns and we handed it over to a government with guns,” he said adding that “this was not privatization”. According to the laws of the Islamic Republic of Iran, the government is supposedly an “elected institution” with a limited time in power and various regulatory bodies monitoring its activities. The IRGC on the other hand is controlled and affiliated with the state, aka Khamenei, with no supervision. According to Article 110 of the Constitution, the Leader of the Islamic Republic of Iran is also the Commander in Chief of the Armed Forces and is charged with installing and uninstalling the commander of the Revolutionary Guards and top commanders of Iran’s military and police. One of the founding fathers of the current regime, Akbar Hashemi Rafsanjani, who died in January 2017, once said that the “Guards have taken control of the economy, foreign policy and internal affairs” and that “they are not satisfied with less than the entire country”. Since 2004, the presence of military officials became more apparent in the Majlis, Iran’s legislative body. More than a fourth of Iran’s Majlis was occupied with those with previous IRGC affiliations. During Ahmadinejad’s administration, the IRGC’s role in executive institutions became even more obvious. The former commander of the Khatam-al Anbiya Headquarters, Rostam Qasemi, was appointed as the Ministry of Oil which gave the IRGC easy access to major oil and gas projects. In May 2014, the IRNA state-run News Agency quoted Abdollah Haji Sadeghi, the representative of the Leader in the Guards as saying that “governments come and go while the main indicator for the Islamic Revolutionary Guards is the Leadership”. Thus, the chief role of the IRGC is preserving the regime and the authority and hegemonic power of the Leader at the head of all the country’s affairs. Along with other state institutions and systems, the Revolutionary Guards is overseen by the Leader of the regime. A number of these state institutions include the Astan Quds Razavi, the Mostazafan Foundation, the Khomeini Relief Foundation, and the Foundation of Martyrs and Veterans Affairs, all multibillion dollar conglomerates that have seen an increased cooperation with the IRGC in the past few years. For example, Astan Quds Razavi, which had the current Chief Justice, Ebrahim Raisi, at its head until recently, is a massive business corporation with a real-estate portfolio worth an estimated $20 billion, which effectively functions as a slush fund for Iran’s supreme leader. Last year, the foundation established a new bonyad called the Keramat Bonyad which took the connection between the foundation and the IRGC to a whole new level. The head of this Bonyad is Hossein Yekta, the former Commander of the Khatam al-Osya Headquarters, which works under the Khatam-al Anbiya Headquarters. The Bonyad works under the banner of “fighting poverty” but actually has extensive economic activities with reports of links to millions of dollars in embezzlement. Therefore, the new designation will curb the Guards economic power extended through all its corporations and state-run bonyads and will effectively curtail the regime’s malicious internal and external activities.